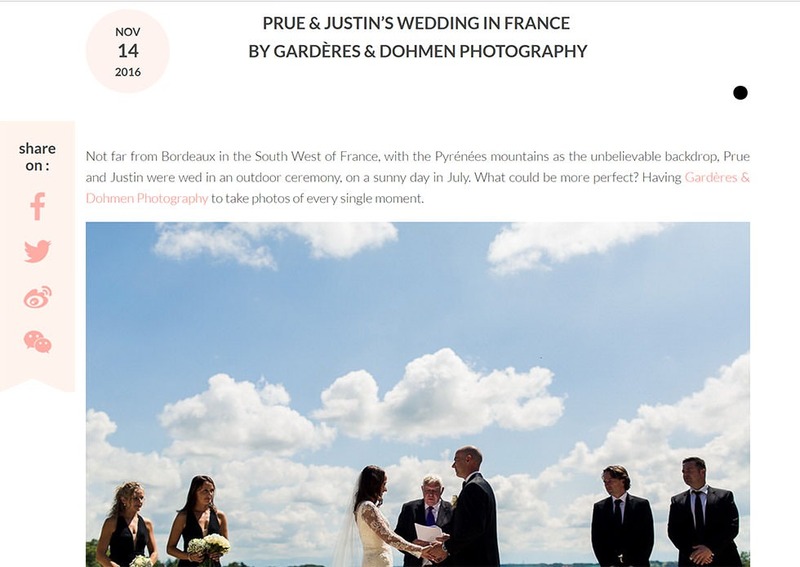 November 14th, the australo-chinese website La Bride publishes an article about Prue & Justin wedding, an australian couple who get married in a private castle in the South-West of France. 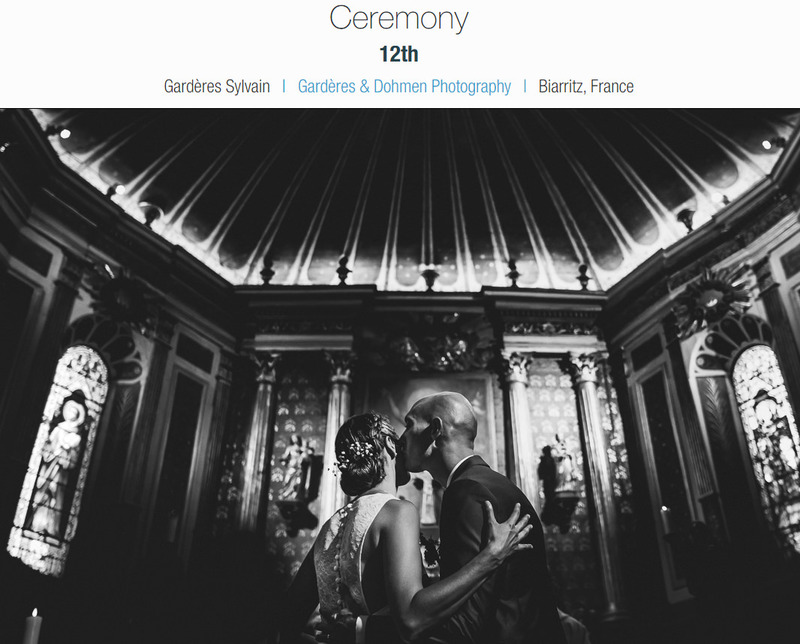 On November 12th, Sigma invites us on its booth in the Salon de la Photo (exhibition in Paris) to give a conference about our work in wedding photography. 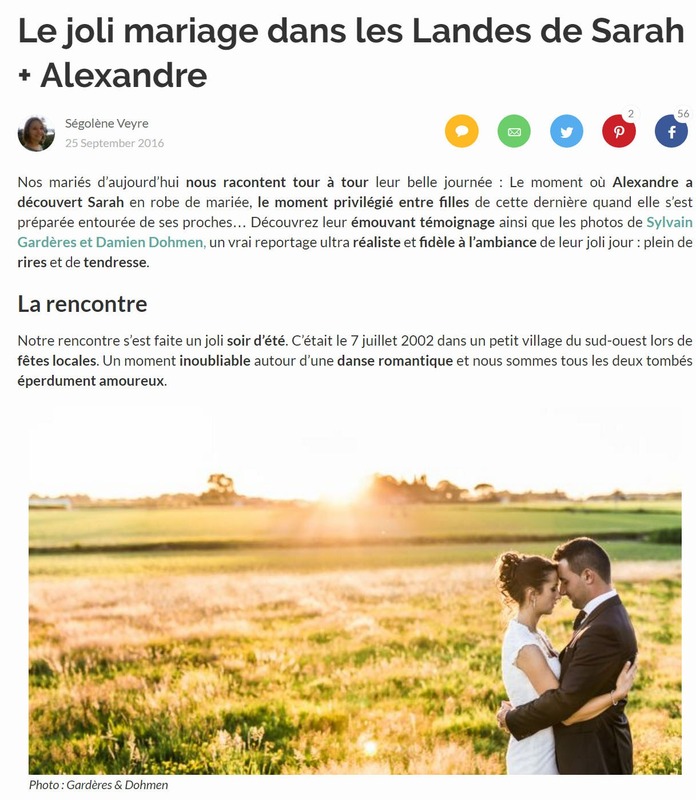 September 25th : the wedding specialized website Zankyou publishes an article (in french only) about the really nice wedding of Sarah & Alexandre, in the South-West of France. 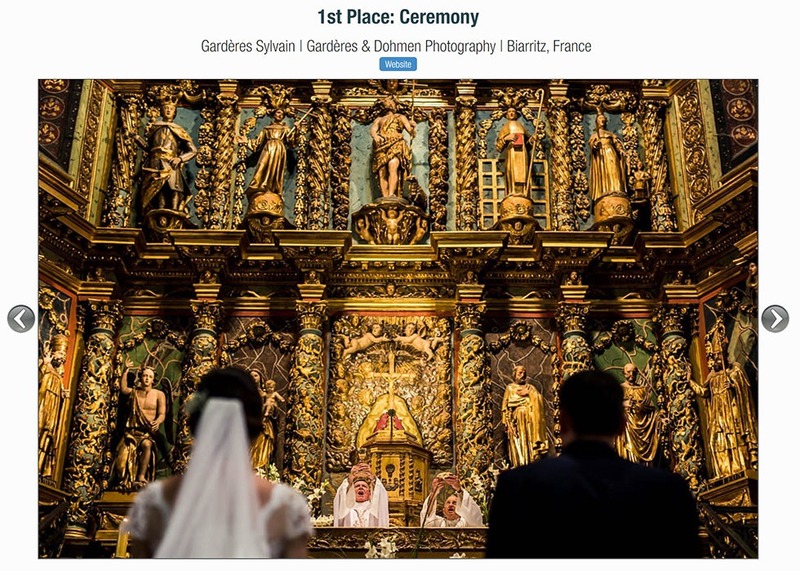 3 awards at ISPWP summer contest, including two 1st places, a very good harvest. 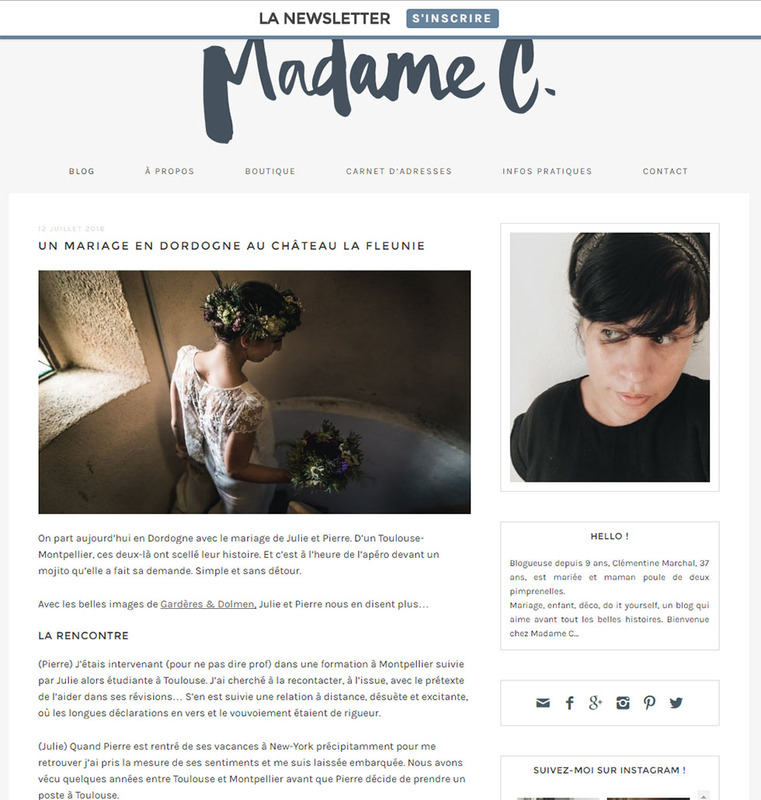 Publication on the Blog de Madame C (in french only), one of the best french Wedding Blog, with the wedding of Julie & Pierre in a Dordogne Castle, South West of France. 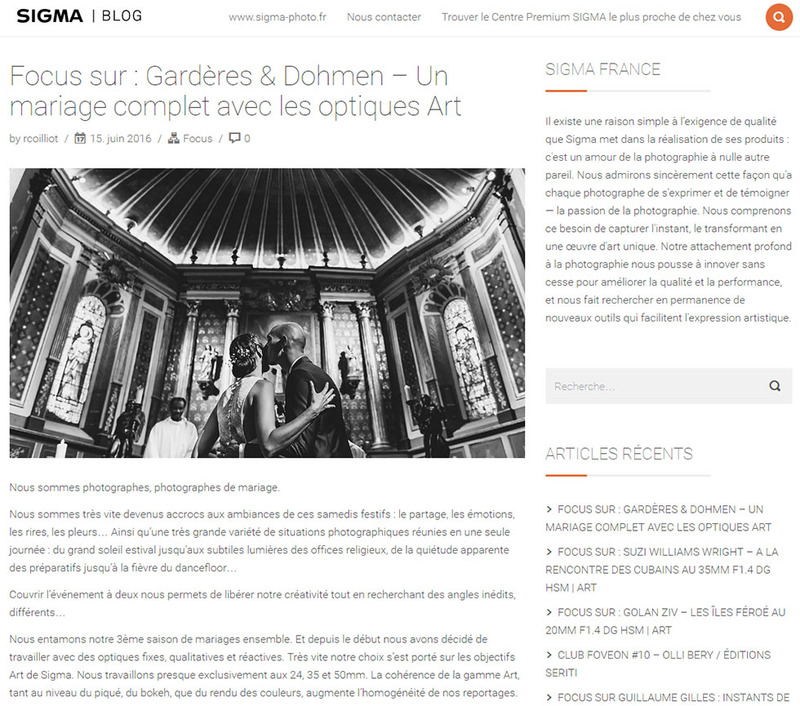 An article published on Sigma France about our wedding photo reports with Sigma lenses 24, 35 et 50mm ART. 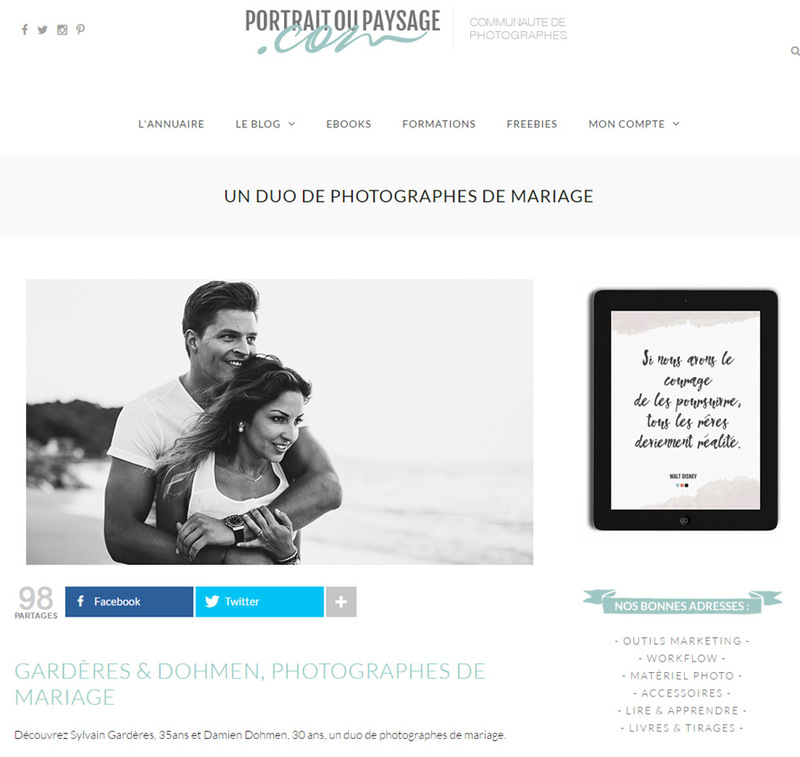 Illustrated with the wedding in Biarritz, Basque Country, of Perrine & Grégoire. 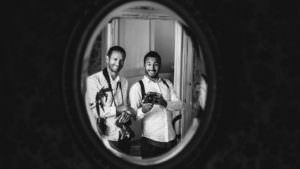 This image was shot during the wedding in Basque Country of Perrine & Grégoire, duting the ceremony. A true moment of sweetness in a wonderful Basque church ! Our article about this wedding can be read here ! 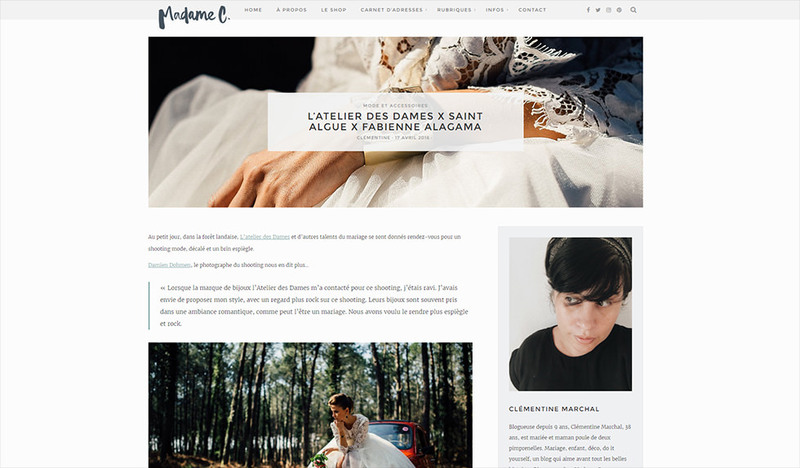 On April 15th Le Blog de Madame C publishes an inspiration shooting we made for a jewel brand l’Atelier des Dames, Hair dressers Saint Algue et Fabienne Alagama wedding dress designer. Session shot in the Landes, South-West of France.